A custom physic system allows for fun and responsive controls. Carefully drop from boulder to boulder, sprint and jump over abysses or slide through muddy forest grounds. Ready to see the world? Different mountains await you on your adventure - each one featuring several trails. Ride along quiet mountain lakes, majestic forests or steep canyons. Play it safe and take a relaxing ride on the scenic route or take the risk and go cross-country to find the fastest way down to the finish line. Experience a beautiful nature unspoiled by men. No audience, no barrier tapes – just you and your bike. Each bikes has different gameplay values. Beat the best-times or make your way down the mountain unharmed to unlock new paint jobs and outfits. Unlock new difficulty modes, compete with your friends and prove your speed-running skills on your way to the top! Questions? Talk with the Devs! We just want to let you all know that development is going well, and we also have some lovely news! The awesome folks from Double Fine Productions and Iam8bit have invited us to their annual Day of the Devs event in San Francisco (11/11/18). Daniel & Jan will be on-site and if you happen to be there, we happily invite you to come by and visit the Lonely Mountains! If you have any questions about the event or the state of the game, feel free to hit us up on Discord! Check out the whole amazing line-up in this video! We have just released a 1-Minute Demo for Win/Mac so everyone can try the game! The game is now live on Greenlight and also has a brand new trailer! The style of this beautiful! I love the emphasis on the physics aspect. 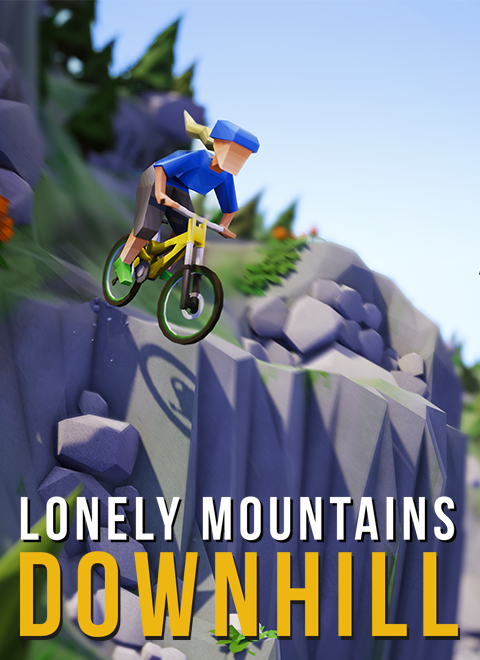 There are not many good mountain biking games out there and this looks quite nice, tracking! Is the gameplay 3D or 2D? Not sure what you mean... The gameplay is 3D (like you can jump, fall and steer in all directions) but due to the bird view the controls work more like a top down 2D shooter and not like a third person car racing game.